The following unabridged article was published in an abridged form in the Fall, 2011 edition of the Inquiring Mind. Bob Isaacson is a DVA founder. Norm Phelps is a DVA contributor. This piece is adapted by Dr. Will Tuttle himself from his best-selling book, The World Peace Diet. 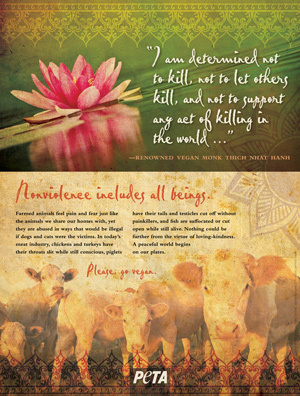 Dr. Tuttle is both a member and contributor to Dharma Voices for Animals.